Monday 4 February to Friday 8 February is Sigiswald Kuijken Week in Bach ad Infinitum. 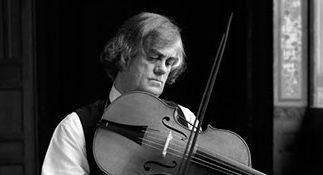 The Belgian violinist and conductor is 75 on 16 February 2019 and to celebrate his birthday the programme will be highlighting the work of this Early Music pioneer. Sigiswald Kuijken, together with his brothers Wieland and Barthold, played a pioneering role in the Early Music movement. From 1969 he introduced the authentic style of playing for the Baroque violin and rediscovered the viola da spalla. Sigiswald Kuijken also made important changes to the way in which Bach’s religious music was performed. The vocal contribution was limited to a quartet instead of a full choir and the number of instruments was also reduced to refelect the original ensembles. In 1972 he established the Baroque orchastra La Petite Bande together with Gustav Leonhardt. You will hear many performances from this orchestra during the Sigiswald Kuijken Week. Click here for the playlist for episode 651 of Bach ad Infinitum, the first programme in Sigiswald Kuijken Week.